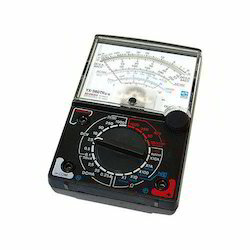 Bright Medi-Weld Appliances excels in rendering a qualitative range of Digital Multimeter, which is offered to the clients at leading market prices. The Tools are highly appreciated by Construction Engineers, Professionals, Students, Researchers, Govt.Agencies etc. We have a range of latest Engineering Tools which are Simple to use, Less Time Consuming, Accurate & suits your application. Auto range and manual range selector provided. Resistance range provides audible continuity test. Automatically turns power off in about 30 minutes to conserve battery life. 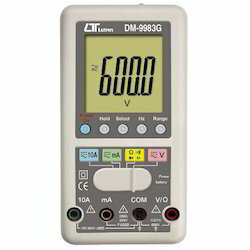 Direct current measurement up to 10A AC and DC. Smart operation, 3 intelligent function: V, Ohm, A.
V: ACV, DCV measurement automatically. Ohm: Ohm, Diode, Continuity, Cap. automatically. Function key: Hold /Select / Hz / Range. Large LCD display, 6,000 counts. Size: 151 x 78 x 43 mm. 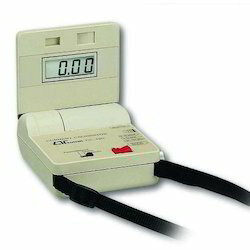 Precision meter for calibrating process devices and measuring process signals. Adjustable 0-24 mA source for calibrating current devices . 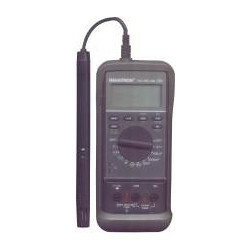 Calibrator drives loads to 500 ohms. Display resolution to 0.01 mA or 0.1 mA or 0.1%. Oyster case with "flip-up" display is ideal for handheld or bench top applications . 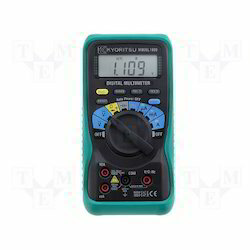 Three modes provide the quality and accuracy of bench top calibrator : precision current source; measurement of a current signal: power and measurement of two wire transmitters. 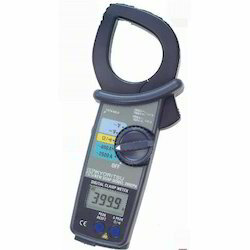 The large LCD can display readings in mA (to 0.01 mA) or as a percentage of the 0-24 mA range (4-20 mA = 0-100.0%). Precision readings and rugged design of the unique Oyster series case makes this the ideal portable calibrator for process applications, manufacturing, product design, or laboratory facilities. when the lid is closed, the power is automatically shut off and the LCD is protected. 55mm-dia large tear drop shaped jaws. 4.½ Digit LCD display with 40,000 count bargraph Auto Ranging. Temperature : - 200° ~ +1370°C, -356° ~ +2489°F,with 4 temperature measuring T1 / T2 / T3 / T1-T2, with Diode check. 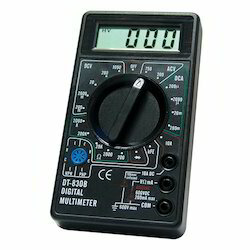 Looking for Digital Multimeter ?